A Respectable Actress is also interesting as a social comment on the times. Following the American Civil War, slaves had been set free. Here in the novel, the reader sees what jobs the ex-slaves now have, and attitudes towards them. India is very much a modern woman in ancient times. Her father having recently died, means that India must fend for herself, in a world where independent women were frowned upon. India believes in personal achievement and dreams. She has her own, and she encourages the young girls to dream too, believing that nothing is beyond your grasp. One just needs to go for it. Dorothy Love in the novel shows the importance of having encouragers in one’s life. When doubts creep in, everyone needs someone to be standing by them, believing in them. 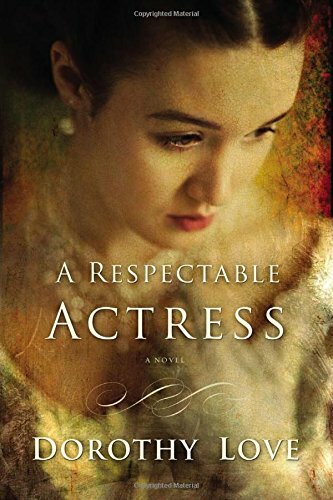 I thoroughly enjoyed A Respectable Actress, it had me hooked until the very last page. This is the first novel I have read by Dorothy Love but I shall be seeking out more.